Vitalife is a new premium range of whey and collagen protein sports supplements, to assist with muscle and bone recovery from activities including gym, cycling, swimming and golf. The gender-specific versions have key vitamins and minerals to promote overall health and wellbeing. There are slight nutrient differences between the male and female versions. 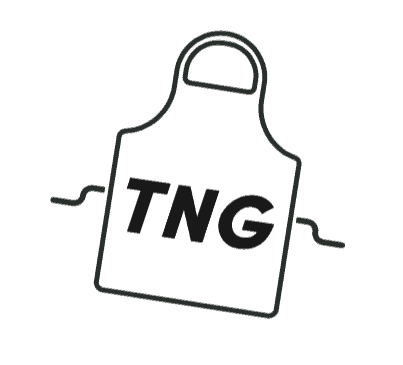 This is to give both men and women targeted nutritional support because, after all, we have different needs. Research indicates that eating or drinking 20g of high quality protein (such as whey) soon after exercise accelerates muscle recovery and repair. Further, when you prepare Vitalife Men 40+ protein powder with milk you’ll be consuming more than 3g of leucine – a branched chain amino acid shown to accelerate protein synthesis and therefore aid muscle recovery. Collagen is the latest sports nutrition supplement gaining much attention. Research has validated that the co-ingestion of collagen with calcium can assist with strengthening ligament and bones. This is particularly important as we age, given the high rates of osteoporosis in both men and women. 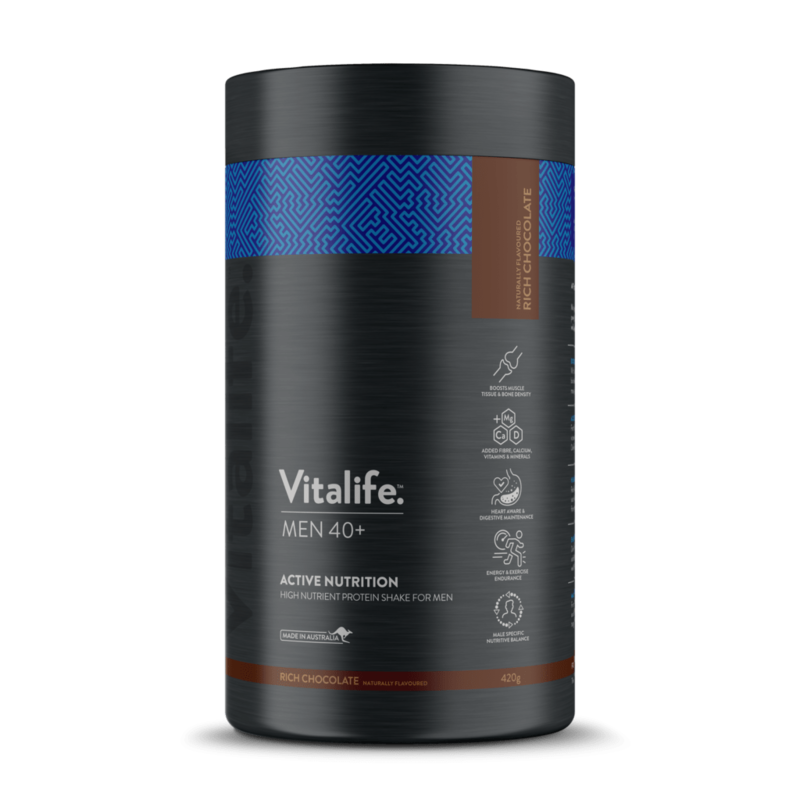 Vitalife Men 40+ provides 5g of collagen protein as well as 296mg calcium (the equivalent of a glass of milk). Evidence has also shown that collagen may play a valuable role in injury prevention and tissue repair. Additionally, the powder is a good source of fibre. Fibre not only loves your gut, but it can also serve as your great protector. In fact, it has been shown to reduce the risk of chronic diseases as well as certain types of cancers. By and large, most Australians fall well short of their fibre requirements. So fortifying a sports supplement with added fibre gets this dietitian’s tick of approval. Vitalife will appeal to active men and women who are after a quick and convenient post-workout or post exercise protein shake. Sporty people have higher protein requirements than those who are more sedentary. Protein rich foods include meat, fish, chicken, dairy, eggs, nuts and seeds, tofu and tempeh, legumes and beans. Eating a variety of these foods at each mealtime will ensure that active people can easily hit their protein targets. However, there are times when eating whole foods is not convenient. That’s when a protein shake complete with other nutritional goodies provides a quick, convenient and effective solution. Further, some research has shown that consuming a high-quality protein prior to bed helps to stimulate muscle protein synthesis rates overnight, thus helping to repair and grow your muscles while you sleep. As Vitalife contains both quick and slow digesting proteins, you’ll be supplying your muscles with a steady source of amino acids to work their magic overnight. Vitalife Active Nutrition is available exclusively in the health food aisle from selected Coles supermarkets and Coles online and retails for $30 for 420g. Mix 3 heaped tablespoons of Vitalife Active Nutrition powder with 250ml of cold milk into a shaker and shake well. Best taken within 30 minutes of exercise. It’s clear that taking Vitalife Active Nutrition 40+ can tick more than just the protein box. The combination of fast and slow acting proteins, calcium, fibre and collagen plus a host of other nutrients makes it one of the more impressive sports nutrition powders on the market. Vitalife Active Nutrition Premium Protein Blend (66%) (Whey protein concentrate, calcium caseinate, collagen protein), acacia fibre, maltodextrin, skim milk powder, cocoa powder, natural flavour, vitamins and minerals, natural guar gum, anti-caking agent (551), natural stevia extract, choline. 499kJ, 21g protein, 1.1g fat, 0.5g saturated fat, 4.7g carbohydrates, 2.4g sugar, 3.9g fibre, 0.7g lactose, 150mg sodium. Note: Vitalife also has a product for Women 40+. This is a paid partnership with Vitalife.